Cabochons create wonderful focal points or fun accents for your jewelry designs. Cabs cut from gems and semiprecious stone were traditionally used to embellish sword handles, thrones, and jeweled crowns. Typically featuring domed tops and flat bottoms, cabochons can be easily added to bezel settings or attached to other surfaces. You can use them in bead embroidery and even try them in craft projects. They are available in a variety of materials such as glass, crystal, and gemstone, giving you plenty of options for your unique style of cabochon jewelry. Create wonderful focal points or fun accents for your jewelry designs with these cabochons. Originally used to embellish sword handles, thrones, and crowns, cabochons typically feature domed tops and flat bottoms, so you can easily add them to bezel settings or attach them to other surfaces. You can use them in bead embroidery and even try them in craft projects. They are available in a variety of materials, colors, and styles. This tiny white Swarovski cabochon Flatback offers an easy way to add elegance and style to your craft designs. 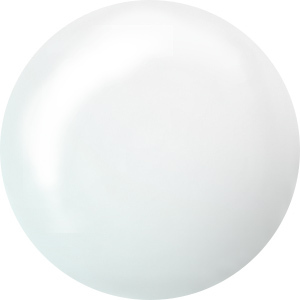 This Flatback features a smooth dome shape in a glossy white shade. The Hotfix adhesive coating facilitates embellishment on clothing, jewelry and accessories. Affix these cabochons with ease using an iron or Hot Fix Applicator. For easy application, use with the Dazzle-It Hot Fix Applicator. Create a stunning display of color in your designs with the Preciosa Czech glass opal tanzanite oval cabochon. This oval-shaped cabochon features a domed front and a flat back. You can easily add it to designs and it's sure to stand out. It features a stormy gray color that lights up with flecks of brilliant purple. The effect is similar to the fire found in labradorite. Use this cabochon as a focal in bead embroidery, add it to a bezel for a quick design and more. This versatile size will work in earrings, rings and necklaces. Luxurious style is yours with the Preciosa Czech glass gold, silver and black round cabochon. 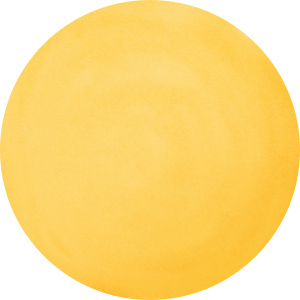 This circular cabochon features a domed front and a flat back. You can easily add it to designs and it's sure to stand out. 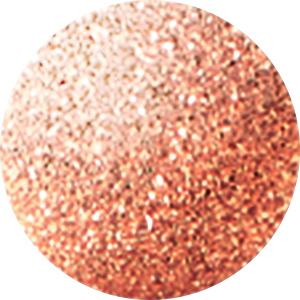 It features flecks of shimmering copper color mixed with gold, black and silver for an elegant and magical look. Use this cabochon as a focal in bead embroidery, add it to a bezel for a quick design and more. This versatile size will work in earrings, rings and necklaces. Put some glitter into your style with this druzy cabochon from Dakota Stones. This cabochon features a circular shape with a rough, geode surface decorating the front. The glittering geode look is filled with shine and hypnotizing style. This cabochon is small in size, so you can use it as an accent designs. Add it to bezel settings, try embedding it in epoxy clay, seed bead around it, and more. Druzy is a coating of fine crystals on a rock fracture surface, vein, or within a geode. This druzy features a champagne gold glitter. Elegance abounds in the Preciosa Czech glass white opal round cabochon. This circular cabochon features a domed front and a flat back. You can easily add it to designs and it's sure to stand out. It features opalescent flecks of milky white color, for a sophisticated style. Use this cabochon as a focal in bead embroidery, add it to a bezel for a quick design and more. This versatile size will work in earrings, rings and necklaces. Accent designs with the magic of the synthetic purple opal elongate oval cabochon. This small cabochon features a narrow oval shape. You can easily attach it to sewing projects, bead embroidery and more. This cabochon features synthetic opal set in a clear dome of jeweler's resin. Man-made opal has a very similar composition to the naturally occurring opal, exhibiting the brilliant play of color or "fire" which is so sought after. The party of purple, pink, green and blue colors is sure to catch the eye. Create sophisticated style with the Preciosa Czech glass white opal oval cabochon. This oval-shaped cabochon features a domed front and a flat back. You can easily add it to designs and it's sure to stand out. It features opalescent flecks of milky white color, for an elegant look. Use this cabochon as a focal in bead embroidery, add it to a bezel for a quick design and more. This versatile size will work in earrings, rings and necklaces. Add a regal touch to designs with the Dakota Stones 18x13mm dark amethyst oval cabochon. This oval-shaped cabochon features a domed front that will stand out nicely in designs. The back is flat, so you can easily add it to designs. Showcase it in a bead embroidery project or use it to decorate crafts. The small size will work in many projects. It features dark purple color full of sophisticated style. Amethyst is the official birthstone of February. It forms in silica-rich liquids deposited in geodes and is generally found in clusters of crystal points. Metaphysical Properties: This stone's name is derived from the Greek word amethystos, meaning "not drunken." People of ancient times believed it to protect the wearer from drunkenness. Today, this gemstone is believed to promote happiness. Eye-catching style can be yours with this cabochon. 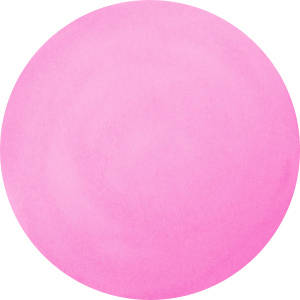 This glass cabochon is round in shape with a domed front that will stand out in your designs. The bottom of the cabochon is decorated with a textured snakeskin pattern that shines through the glass with blue and green iridescence. The colors change magically from every angle. You'll love showcasing this embellishment in your jewelry designs. It is bold in size, so try it in bezel settings, embed it into epoxy clay, incorporate it in your bead embroidery, and more. A gorgeous combination of iridescence and shine attracts the eye to this Paua cabochon. Transparent acrylic adds a light blue tint, enhancing the natural patterns and coloring of the shell. 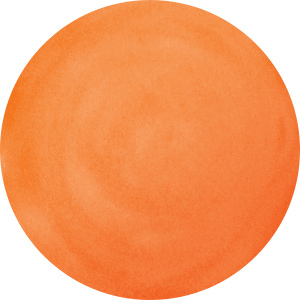 You can add this cabochon to jewelry, craft projects, or clothing to create your own styles and color schemes. Try using this one as the center of a beaded pendant. Give your designs a colorful accent with the synthetic blue opal 10x8mm oval cabochon. This cabochon features a classic oval shape. It is versatile in size, so you can use it anywhere. Try it in sewing projects, bead embroidery and more. This cabochon features synthetic opal set in a clear dome of jeweler's resin. Man-made opal has a very similar composition to the naturally occurring opal, exhibiting the brilliant play of color or "fire" which is so sought after. The blue and green colors are sure to catch the eye. Rich style can be yours with this Dakota Stones gemstone cabochon. 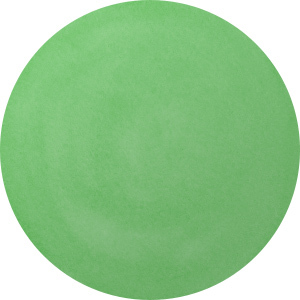 This oval-shaped cabochon features a domed front that will stand out nicely in designs. The back is flat, so you can easily add it to projects. It is bold in size, so you can use it as a focal in a bracelet or pair it with bead embroidery. It features hypnotizing swirls of chocolate brown, bronze and gold. The bronze-like metallic luster is caused by the iron content in the material. Metaphysical Properties: The energy of bronzite is said to promote certainty and control and encourage us to take control over our own actions. Add a variety of cool tones to your designs along with a marbled pattern by incorporating this 13mm round light blue Paua cabochon. The cabochon is made by trapping a Paua shell between a black resin back and a transparent light blue curved resin front. Use this cabochon for craft projects or fashion accessories. Paua shell comes from New Zealand, where its coloring and iridescent properties have made it popular with tourists. Each of these small 9mm cabochons is full of iridescent color and features a pattern that will never be exactly replicated. You'll find purples, greens, and oranges marbled with black. The cabochons are made from Paua shell layered between a black resin back and a clear curving resin top. Paua shell comes from New Zealand, where its coloring and iridescent properties have made it popular with tourists. Put sweet touches in your style with this Dakota Stones gemstone cabochon. This circular cabochon features a domed front and a flat back. It's easy to add to bead embroidery, craft projects, home decor, bezel settings and more. The small size makes this a versatile piece you can use anywhere. Try it as a nice accent in designs. It displays a soft, pale pink shade full of hazy beauty. It has a hazy to translucent look due to microscopic fibrous inclusions of pink borosilicate mineral related to Dumortierite. Metaphysical Properties: Rose quartz is known as the "love stone" and is used for its healing, calming, joyous and warm qualities. As with other types of quartz, it is believed to amplify energy. Put stylish color into your designs with this cabochon from Dakota Stones. This cabochon features a classic oval shape and a slightly domed front that will stand out in designs. The back of the cabochon is flat, for easy application. Use it in a bezel setting or in bead embroidery. Dog teeth amethyst is a combination of amethyst and white quartz mixed together in a striped, chevron pattern. It is named for its resemblance to the dog tooth violet. The stone is also known as chevron amethyst. Metaphysical Properties: Dog teeth amethyst is said to help remove resistance to change and to dissipate and repel negativity of all kinds. Liven up your style with this pretty cabochon. Made from mother of pearl, this small round cabochon features a white fern pattern on a black background, for a sophisticated touch you'll love adding to projects. The mother of pearl material adds a magical iridescence that is sure to catch the eye. You can use this cabochon in bezel settings for a fun look that's easy to achieve. Try it on an earring post for a quick and stylish design. You'll love playing with this little component. This 13x18mm oval glass cabochon has a crackled golden-brown texture beneath a clear glass dome. The glass has an opal effect that causes it to shimmer with purple color when the light hits it. Originally used to embellish sword handles, thrones and crowns, cabochons are now perfect for sprucing up everyday household objects. They'll make you feel like royalty in your own home. Simply use adhesive and get busy decorating. This fire opal glass cabochon, with its iridescent shine and cracked appearance, is perfect for designs with a vintage touch. Ideal for seed bead and set bezels, this 13x18mm oval treasure can also be used to embellish bead boxes or beautify other household objects with our E6000 adhesive. Cabochons offer a timeless appeal that is full of elegance. Whether you mount them into pre-formed bezels or create your own unique settings, you'll be amazed at the beautiful results you'll achieve. For a sweet display, go for this Dakota Stones gemstone cabochon. 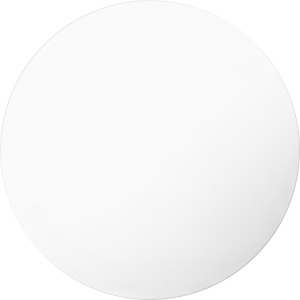 This oval-shaped cabochon features a domed front that will stand out nicely in designs. The back is flat, so you can easily add it to projects. It is bold in size, so you can use it as a focal in a bracelet or pair it with bead embroidery. It displays a soft, pale pink shade full of hazy beauty. It has a hazy to translucent look due to microscopic fibrous inclusions of pink borosilicate mineral related to Dumortierite. Metaphysical Properties: Rose quartz is known as the "love stone" and is used for its healing, calming, joyous and warm qualities. As with other types of quartz, it is believed to amplify energy.